CHH Pro Complete is the most complete virtual-instrument library of Brass & Woodwind instruments for Jazz, Pop, Big-Band, Funk production but also to spice up your cinematic and orchestral tracks. 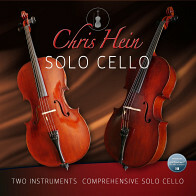 With CHH Complete you get 54 Solo- and 32 Section-Instruments, partitioned in four volumes which contain different groups of instruments perfectly matching each other. With the latest Pro update for the first time a Chris Hein library offers phase synchronized samples for perfect blending between velocities. This procedure optimizes interdependent samples and allows Velocity Crossfades smooth as silk from piano to forte. Use the instrument's full dynamic capabilities to create a vivid performance. - Phase synchronized samples for perfect blending between velocities. All Sustain Samples and some other articulation have been phase-synced. This procedure optimizes interdependent samples and allows Velocity Crossfades smooth as silk from piano to forte. Use the instrument's full dynamic capabilities to create a vivid performance. - Extremely customizable Articulation Presets including copy paste feature. The articulation presets are now even more customizable, using the latest features of the Kontakt engine - for example the time machine and the transient designer. Control speed, panorama, volume and transpose and many more parameters for each playing style of an instrument individually. Auto vibrato. Auto Vibrato uses musical values, based on the song tempo, to blend in natural modulation of tune and volume. Due to highly intelligent programming the solo instruments can easily be combined to small or large sections via section mode. Several "out of the box" section instruments are also included. The intuitive user interface is mainly focussed on best playability. Various legato and glide-mode features allow very realistic note transitions, while outstanding new functions like key-vibrato, hotkeys and the revolutionary new key-switch concept are essential for live performance. 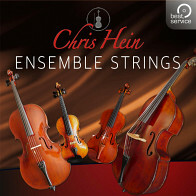 - Chris Hein Horns is an outstanding virtual sampled brass instrument library. - Key-Switch Presets, Hot-Keys, Key-Vibrato, Legato- and Glide-Mode, Growl-Control, and more. 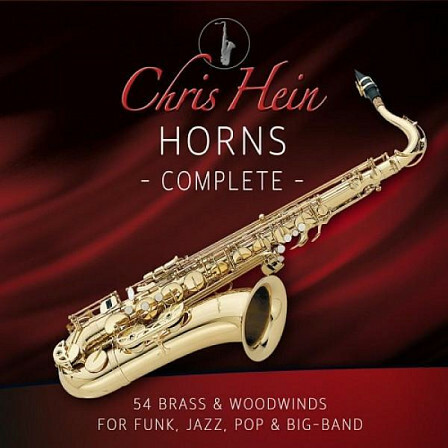 The large amount of up to 38 articulations is what makes "Chris Hein - Horns " so realistic. All articulations can be assigned over 18 keyswitch-keys, located on the lower notes of the keyboard. Access to every articulation is made possible via an intuitive combination of keyswitches and midi-controllers. "Keyswitching" is an elegant means of enabling the user to directly and immediately access different playing techniques from within a single patch. It uses pre-programmed MIDI notes to instantaneously switch between different articulations, meaning it is no longer necessary to reload each variant individually. The keyswitches themselves are exclusively controller keys. They make no sound, but instead are used to switch the entire group of samples which the main instrument keys trigger. Usually key-switches just switch between different fixed articulations or other pre-programmed sound varietes. In CHH Vol1 the keyswitches are used to switch between complex sets of presets with 21 adjustable parameters. 18 Key-Switch presets are available. The KS-Presets are allocated to C0 - F1, in the lower area of your keyboard. The keyswitch is pressed prior to playing any actual instrument notes. The switchover occurs instantly without any time lag. Pressing a key between C0 and F1 on your keyboard has the same effect as turning the KS-Preset knob in the GUI. You can also assign the KS-Presets to any midi controller in the CC-Settings page. The selected articulation is displayed on the left side of the GUI. All parameters on the settings page,except Vib. Vol, Vib.Tune, Crescendo-Speed and Glide-Speed are adjustable parameters which are stored in the KS-Presets. If you make changes to any of these parameters, they are automatically stored in the KS-Preset. To save the KS-Presets permanently, simply save the whole instrument. 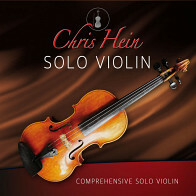 The Following End User License Agreement is included with Chris Hein Horns Pro Complete. 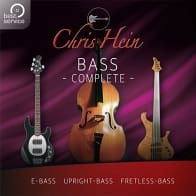 This License is only valid for the individual who has purchased an unopened, new and lawfully made copy of Chris Hein Horns Pro Complete from a dealer or distributor authorized by Big Fish Audio.